Edwin Joseph Greenwood was the son of Mrs. Tufnell, Midhurst, Sussex, England. 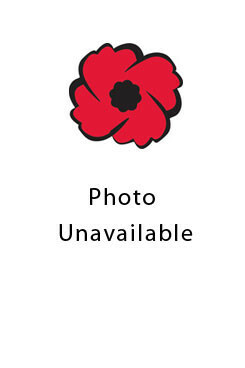 He was a farm worker who worked briefly in East Nissouri before joining the 168th Canadian Infantry Battalion in 1916. He trained at Wolseley Barracks in London, Ontario and Camp Borden, Ontario. He sailed on the SS Lapland November 1 and arrived in England November 11, 1916. Greenwood was transferred to the 39th Reserve Battalion at West Sandling December 5 and sent to the 6th Reserve Battalion at Shorncliffe January 4, 1917. In England he was part of the home defense until February,1918 when he was sent to France and served in the 18th Canadian Infantry Battalion, serving with the 4th Infantry Brigade in the 2nd Canadian Division. Private Greenwood did several routine tours. He was in the forward trenches near Vimy when they were hit by German shells. Edwin suffered compound fractures of the left leg and was transferred to 8 Casualty Clearing Station where he died the following day. His grave is in Duisans British Cemetery, Pas de Calais, France. He was survived by his mother of 346 St. Ann's Hill, Market Square, Midhurst, England as well as by his grandfather, Mr. E.J. Greenwood and a sister Ethel of 244 Haydons Road, Wimbleton, England. Private Greenwood was also survived by his sisters, Mrs. G.W. Garrett of Princes Road, Wimbledon Park, London, England and Ethel of 244 Haydons Road, Wimbleton, England. -- Courtesy of St. Marys Journal Argus.